Looking for Solar Power in Ipswich? If so; you have stumbled across the right page. Here I am going to go into a lot of depth on the benefits of opting for Solar Power in Ipswich. 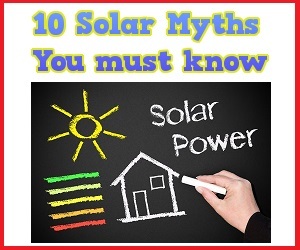 Firstly; those who opt for solar power in Ipswich will be saving a lot of cash on their energy bills. As I mentioned previously; the price of solar power has come down drastically as of late. However there are plenty more savings to make on top of this. Remember; solar power is remarkably cheap. In fact; it is free. Once you have the panels installed there is very little that you need to worry about in the way of costs, and even those are not going to be that high. You see; solar power comes from the sun. All of the energy produced by your solar panels will not have to be bought from the energy company. This means that straight away the price is going to be a lot lower. There is very little in the way of maintaining for the panels either. They often last about thirty years. Sure; the initial cost of the solar power is high, but you will be saving a lot of money in the long run. If you opt for Solar Power in Ipswich then you can feel confident knowing that you are doing your bit for the environment. As you may know; the environment is in dire straits right now due to global warming. If you opt for solar power then you are doing your bit to help. After all; solar power means that you do not have to rely on fossil fuels which pollute the environment. You will only be relying on the sun’s waves hitting the panel. If everybody opted for forms of alternative electricity like this then the world would be a far better place to live in. Solar Power can actually increase the value of your home. Remember; more people than ever are starting to look into the idea of purchasing green homes. If you have solar panels installed then you can expect the cost to rise sharply. What Are The Next Steps for Solar Power in Ipswich? All you need to do is get in touch with us! We will be more than happy to answer any questions that you may have about our service and of course put you on the path towards having the solar panels installed.